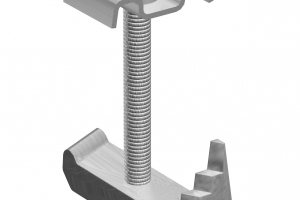 This product is an expansion anchor for steel that can be used to make connections to structural tube sections. 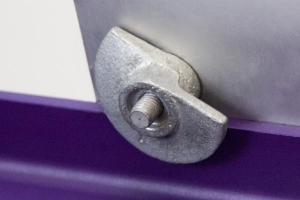 The BoxBolt is suitable for use with rectangular, square and circular sections – or other types of steelwork where access is restricted to one side only. Learn more about this product. 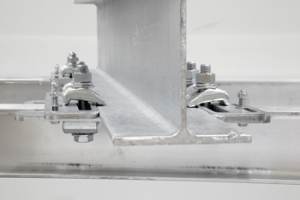 This product line offers an alternative method of securing secondary steelwork and building services equipment to primary steelwork. BeamClamp products clamp new steelwork, grating and floor plate into position – without drilling or welding. Learn more about this revolutionary product. 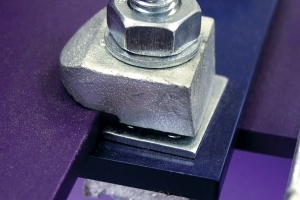 The GRATEFIX fastener is used to securely fasten steel, aluminum and fiberglass grating to supporting steelwork. 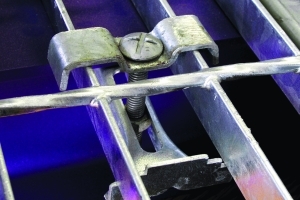 Using only a hexagon key to install, grating can be secured without welding or drilling. The Floorfix by BeamClamp is designed for positioning raised pattern floor plates without the need for welding or drilling of the supporting steelwork. Learn more about this useful product. The Grating Clip by BeamClamp is a cost effective method of securing steel grating to existing structural steel members. Learn more about how this product can meet your grating needs. Fast Fit, a product from BeamClamp range, is an off the shelf engineered clamping solution to connect two steel sections together without the need for onsite drilling or welding. All you need to secure two sections together comes in one box. The system allows for varying angles that can be easily achieved by sliding the beams relative to each other.